Sure, the weather forecast is calling for snow on Fat Tuesday, but no weather should stand between you and your favorite flavor of Pączki. 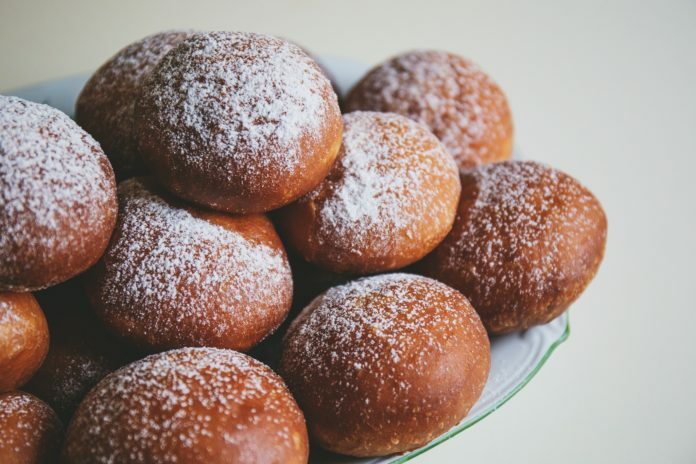 Pączki is a Polish doughnut filled with cream or fruit jelly and then covered in either powdered sugar or standard granulated sugar that is traditionally enjoyed on Mardi Gras. Those unfamiliar with them might question what makes the Pączki such a big deal, but those in the know are well aware of how wonderfully special the combination of eggs, sugar and lard is. This shop sells a variety of fruity and creamy flavors, such as blueberry, lemon creme and German chocolate. Unfortunately, 2016 will likely be the last year for Dainty Maid Bake Shop, as owner David Hab passed away Friday, Feb. 5, according to its Facebook page. Dainy Maid may be sold to a new owner, but its future is not totally clear. Enjoy flavors such as strawberry, apricot, cherry, cream cheese and more. Pązckis will be available until they run out on Wednesday, featuring flavors such as apple, prune and strawberries with whipped cream. Enjoy traditional fruit and cream fillings. Get a taste of its deluxe Pączki filled with fresh strawberries and topped with whipped cream or try some other traditional flavors too. Fresh Pączki are available in boxes of six with flavors such as apple, raspberry, Bavarian cream and more. Pączki are also available at The Baker’s Dozen at 2909 W. Sample St., South Bend. The bakery is open from 6 a.m. to 4 p.m. Wednesday through Friday and has items for sale at the South Bend Farmer’s Market on Thursdays and Friday.